All work carries risks. However, we identify and mitigate our risks by using our Operational Excellence Management System (OEMS). We have a proactive safety policy; we consistently train our workforce; and our employees and contractors are empowered with the authority and responsibility to stop work if they believe conditions are unsafe. We also are a leader in providing health awareness and education programs to our employees and their dependents, and to residents of the communities where we operate. The health and safety of our workforce is a core value in The Chevron Way: “We place the highest priority on the health and safety of our workforce and protection of our assets, communities and the environment.” This commitment is managed through our OEMS, which we recently updated, and it is reinforced at all levels of the corporation. 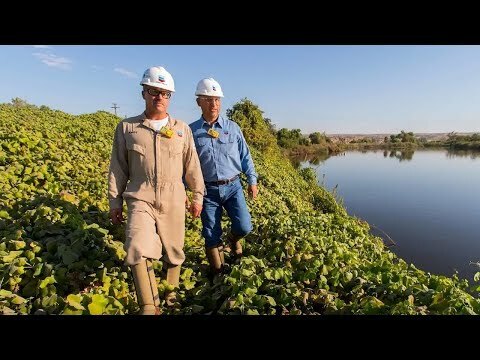 Learn about Chevron’s Operational Excellence Management System, and how it supports our Chevron Way value to protect people and the environment. The OEMS is a risk-based and systematic approach for identifying, assessing, prioritizing and managing operational excellence (OE) risks. We establish and sustain safeguards and assure they are in place and functioning. Safeguards are at the heart of the OEMS – hardware and human actions designed to directly prevent or mitigate an accident or impact. Typical safeguards include facility designs, mechanical devices, engineered systems, protective equipment and execution of procedures. Through the execution of assurance programs, we can have confidence our safeguards are in place and functioning. Effective leadership is a critical success factor for OE. Leaders must cultivate and drive our culture through their values, competencies and behaviors. They are responsible for understanding and mitigating risks and maintaining and assuring safeguards for their business. We manage the safety of our personnel through multiple processes within our OEMS. Preventing fatalities and serious incidents is our top priority, and we strive to eliminate or mitigate risks throughout our operations by identifying hazards, putting safeguards in place and assuring that our safeguards are functioning. Written safe-work practices are a core part of our comprehensive safety program. These safe-work practices help ensure that potentially hazardous work, such as electrical work or entry into a confined space, is properly planned, permitted, executed and closed out to prevent workplace injuries and incidents. We require our contractors to meet these safety principles, make our expectations clear and verify compliance with safe-work practice requirements. To help those performing high-risk work identify and control the potential significant hazards unique to each job activity, we have developed our hazard identification tool, our job hazard and safety analysis, start-work checklists, and our Preventing Serious Injury and Fatalities Field Guide. We also build leader fluency in human performance – the way people, culture, equipment, work systems and processes interact – and we are implementing worker-level training to increase awareness of error-likely situations. For an in-depth look at Chevron’s safety statistics, read our 2017 Corporate Responsibility Report. We also apply our OEMS to manage process safety as we work to prevent serious incidents, such as explosions, fires and accidental releases. To identify hazards and reduce risk, we conduct systematic reviews of facilities and projects, engaging third-party reviewers as appropriate, and we perform in-depth hazard analyses to help prevent injury and loss of containment. Multiple layers of protection are engineered into our designs to safeguard our operations and prevent or mitigate the possible effects of human errors and mechanical failures. Personnel are trained to safely start up, operate, and shut down processes and equipment in an incident-free manner. Ongoing programs in support of process safety include: enhancing asset integrity management; increasing the effectiveness of operating procedures through the application of human performance principles; improving risk identification and safeguard management processes; implementing rig certification and assurance programs to enhance well safety; and, building process safety competency at all levels of the organization. Highlighting our focus on well safety is our WellSafe program, which is designed to assure well and reservoir fluids are under control and not released, potentially impacting people and the environment. The WellSafe program applies to all drilling operations and those completion and workover operations that are under the operational control of Chevron’s Drilling and Completions organization. Learn more about WellSafe in our 2016 Corporate Responsibility Report. We are committed to achieving zero severe process safety incidents. Through what we learn, we improve our procedures, training, maintenance programs and designs to avoid repeating incidents. We share lessons learned from actual incidents and potential events throughout the company and with industry organizations, such as the American Petroleum Institute and the Center for Chemical Process Safety. Chevron commissions Lloyd’s Register Quality Assurance Ltd. each year to provide independent assurance on the effectiveness of our processes for reporting health, environmental and safety indicators as described in the Oil and gas industry guidance on voluntary sustainability reporting (2015) industry guidelines maintained by IPIECA (the global oil and gas industry association for environmental and social issues), the American Petroleum Institute and the International Association of Oil & Gas Producers. Chevron works to reduce the risks and potential impacts associated with all aspects of the life cycle of our products. New and existing chemicals in our portfolio are reviewed per the company's Product Stewardship Process. We assess safety, health and environmental information, as well as compliance with product safety legal requirements. Additionally, we conduct life cycle assessments to understand the environmental footprint (e.g., energy intensity, carbon footprint) for a growing number of our products. Animal testing is often required by regulatory agencies and may be critical for demonstrating safety. We are committed to using alternatives to animal testing whenever possible. This includes working with contract laboratories to refine protocols to make in vitro testing appropriate for chemicals like ours that are difficult to test due to solubility. Current computational toxicology models have evolved to better assess complex chemistries and are used in combination with known information on a chemical and surrogates to assess the hazard potential. This results in reducing animal testing where alternatives to testing are allowed and enables targeted approaches to testing where it is still required. Management systems like the OEMS help us identify and comply with product stewardship requirements. We apply common processes and technology to capture and communicate information on the safe handling, transport, use and disposal of our products. We also use those processes and systems to communicate emergency contact information. We have a surveillance process to monitor and evaluate the growing number of new regulatory programs that may apply to our products. Our global team of product stewardship experts have completed substance or product registrations in 19 different countries and we proactively monitor for compliance with emerging chemical control laws. For example, in Europe, the chemical regulatory framework Registration, Evaluation, Authorization and Restriction of Chemicals (REACH) requires manufacturers and importers to register their chemicals and provide the European Chemical Agency with extensive information about the potential environmental and health effects of their products. Chevron has developed and implemented rigorous programs at our manufacturing plants, and along the entire supply chain, to meet REACH requirements. In total, more than 150 registration packages have been submitted to comply with this initiative. In the United States, the Toxic Substances Control Act (TSCA) is being amended by the Frank R. Lautenberg Chemical Safety for the 21st Century Act and includes rulemaking to reset the TCSA chemical inventory. As part of this effort, over 200 chemicals have been evaluated for compliance and Notices of Activity submitted to the Environmental Protection Agency where required. The Product Stewardship Process also covers standard hazard communication practices, such as safety data sheets (SDSs) and product hazard labeling. Chevron maintains a global database of SDSs for lubricants, fuels, additives and other products marketed by Chevron in six continents. The sheets contain information on the safe use of and potential hazards associated with these products. Proper labeling and transportation of our products from one country to another can be challenging. The U.N. Globally Harmonized System of Classification and Labelling of Chemicals (GHS) was developed to address this challenge through guidance for implementation of consistency in labeling and SDS requirements. In 2017 Chevron generated 26,233 GHS compliance SDSs in 39 languages to meet these requirements. The health of our employees is important to Chevron. We recognize that healthy employees are better able to do their jobs and that health and well-being impact safe operations. We work to help address some of the health risks our employees face. Diseases such as malaria, tuberculosis and HIV/AIDS remain prevalent in some of the countries where we operate. We work to help protect our workforce from outbreaks such as Ebola and polio and emerging diseases like the Zika virus. Lifestyle diseases, such as cardiovascular disease, diabetes and obesity, also affect our workforce and the communities where we operate. Chevron provides support programs and services to help our employees live healthier lives. We consider workforce and community health issues to be key aspects of our project planning. Our coordinated approach to health involves a combination of processes, policies, benefits and environmental supports. Our Fitness for Duty process evaluates whether employees can perform the essential physical, psychological and cognitive requirements of their job safely without risk to themselves, others or the environment. We also encourage personal health through wellness programs, including our global Healthy Heart Program and quarterly health focus areas. Many of our locations also have onsite fitness centers. Our focus on whole-person health includes the global Employee Assistance Program, which provides psychological health support to organizations, employees and their families. Our Worklife services also contribute to whole-person health by identifying supportive resources to help employees remain focused and present even when dealing with family or dependent-related concerns. For more than three decades, HIV/AIDS has threatened our workforce, their families and the communities where we operate. Chevron believes that multinational companies have a key role to play in the global effort to combat HIV/AIDS and other infectious diseases. Our workplace HIV/AIDS policy and training combines educational programs, peer-to-peer training and counseling, and access to appropriate care and treatment to support our workforce and ensure that everyone can be a productive contributor to the success of the company. The potential for repetitive stress injuries also exists in every aspect of our lives. The goal of Chevron's Repetitive Stress Injury Prevention (RSIP) Plan is to identify each worker's level of risk for developing repetitive stress injuries through on-the-job computer use and to implement preventive measures to reduce that risk, which includes providing ergonomic offices. An important component of the RSIP Plan is the Rapid Response program, which encourages identifying risk and reporting discomfort early. This enables us to provide intervention for workers who are experiencing discomfort or who are at high risk. Over the past 15-plus years, our Rapid Response program has worked with more than 15,000 employees. In the U.S. program, more than 90 percent of those reporting low discomfort (0 to 3 on a 10-point scale) resolved their discomfort through ergonomic intervention. In 2017 Chevron received a number of recognitions for being a healthy employer. The Global Centre for Healthy Workplaces ranked Chevron the healthiest multinational employer. The National Business Group on Health awarded Chevron the Best Employers for Healthy Lifestyles® Platinum Award and the Global Distinction Award. Australian Human Resource Institutes awarded Chevron Australia the national Allen Fels AO Mental Health in the Workplace Award. The San Francisco Business Times and Silicon Valley Business Journal ranked Chevron one of the Bay Area’s Healthiest Employers (No. 2 in 2017). These prestigious awards address worksite wellness programs and recognize best practices by employers across the United States and the globe. Chevron’s applications featured our comprehensive health and wellness efforts including our global focus on cardiovascular disease, HIV and other regional health issues. Chevron's Healthy Heart Program proactively focuses on reducing cardiovascular disease risk factors by offering employees and their adult dependents an annual voluntary risk assessment and educational resources. In the countries where the program is deployed, country-specific motivation and follow-up programs are defined to ensure integration with existing worksite programs. In Indonesia, the Philippines, the United Kingdom, Nigeria and Angola, Peer Health Educators (PHEs) provide peer-to-peer counseling to the workforce on a variety of health topics from HIV/AIDS to cardiovascular health. PHEs are employee volunteers who have been trained to address personal health holistically and are able to mobilize the workforce to increase their awareness of personal health and its potential impact on safety and productivity. They often leverage their knowledge and skills to provide health awareness trainings to their personal social groups. This highlights the impact of Chevron’s health programs on the communities that surround our operations. Chevron’s comprehensive wellness approach includes a focus on psychological wellbeing and integration with safety, occupational health and environmental supports. Our global quarterly health programs provide educational toolkits and support for local programs that address risk factors for cardiovascular and other non-communicable diseases. These programs strengthen the links between the health of our workforce and their safety and productivity. The programs we offer vary by country and can include risk assessments, personalized action plans, coaching, physical activity programs and health promotion.